TNT's new TV series, Dallas is SWN Favorite New TV Show of 2012. The popular 1980's hit drama series has returned with all the back stabbing, greed, secrets, lust, envy, romance, fights and more that had TV goers addicted. To make things even more exciting the show returned with some of its original characters J.R. Ewing (Larry Hagman), Bobby Ewing (Patrick Duffy) and Sue Ellen Ewing (Linda Gray). Nothing has changed, J.R. still wants control of South Fork so he can drill oil and will do anything to get his brother Bobby out of the way. What's even more exciting is watching the younger generation of Ewings continue the family feud - cousins John Ross Ewing (Josh Henderson) and Christopher Ewing (Jesse Metcalfe) - clash over the family's oil business and vast fortune. The Talk is SWN's Favorite Talk Show of 2012. The Talk provides us with an entertaining mix of celebrity news, gossip, interviews, world news and more. What sets The Talk apart from the other shows is its panel of outstanding intelligent, beautiful, hilarious down to earth hosts that provides an hour of joy out of your day. - Comedian Sheryl Underwood brings the funny everyday with her think quick on your remarks that has us falling out of chairs. Plus we like to see what cute wig she is wearing each day. CBS Young and the Restless is SWN's Favorite Soap Opera of 2012. For 24 years Y&R has topped the ratings chart at #1. And even in the mist of soaps being canceled and our favorite soap stars leaving the air waves, Y&R has managed to keep soap fans entertained with drama, romance, greed, secrets and more. The Newman family and Abbot family rivalry has continued to keep Genoa City filled with all sorts of unbelievable story-lines that keep us wanting more. Sharon Case is SWN's Favorite Soap Opera Actress of 2012. This year has been a true whirl-wind for Sharon Case character Sharon Newman on Y&R. She has been donned the outcast after marrying her ex. husbands father. It's like come on you married both brothers, had children by one and now you go and marry the father -- your kids grandfather (yuck). Plus she took over Newman Enterprises and almost ran the business into the ground. Sharon Case has out done herself playing this role who has so many layers to her. Even though the character has become the one you love to hate, Case's acting skills have really shined and made us an even bigger fan. Don Diamont is SWN's Favorite Soap Opera Actor of 2012. The Soap legend has taken over Bold and the Beautiful with his role of Bill Spencer. No one can compete or get anything past Wild Bill. Diamont is such a cool and suave guy that it naturally transcends into his character Bill Spencer. Bill is cutthroat and has no problem doing whatever to get what he wants. We love to hate Bill Spencer. But from the looks of things the powerful Bill is weak to Brooke's kryptonite just like all the other men on B&B. Don Diamont has done an amazing job portraying Wild Bill. Tia & Tamera is SWN's Favorite Reality Show of 2012. The twins are all grown up and we get to watch them continue on their journey but this time it's not just on a TV show. Tia and Tamera's reality show provides us a look behind the camera as the ladies embark on their lives as adults, love and new career endeavors. The show is entertaining and full of hopes, dreams, laughter, love, family and more. It's thrilling to watch these two beautiful sisters as wives, grow their families and continue to work on being sisters. The Style Network knew what they were doing giving Tia Mowry-Hardrict and Tamera Mowry-Housely a reality show. 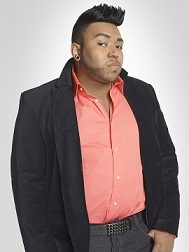 MaCray of Style Networks hit show Chicagolicious is SWN's Favorite Reality Star of 2012. MaCray is most definitely the break out star on the show with his outgoing personality and his love for fashion. MaCray brings his A game every-time when he transforms a client at AJ's Salon into a beautiful work of art. He is not just a master weave-ologist he is stylistically an artist who does amazing work of art with hair. NBC's The Voice is SWN's Favorite Competition Show of 2012. This competition show really set itself a head of the others by having the judges choose which aspiring artist they want on their team by first just listening to their voice. The entertaining part of the is watching the great dynamics between each judge. 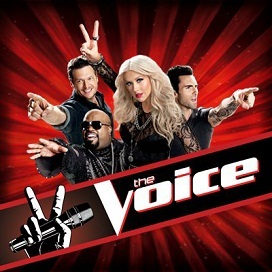 The jokes and wise crack remarks between Blake Shelton, Christina Aguilera, Ceelo Green and Adam Levine is pure gold. They respect each other's craft and talent but when its time to convince the competitor to choose their team, its game on. Demi Lovato is SWN's Favorite Teen Idol of 2012. The Pop Singer/Actress has come through the fire stronger and better than ever. Demi has proudly shared with the world her struggles and with strength and grace has inspired others who are going through hard times (whatever it may be) to stay strong, stand up and admit you need help so you can fight your way back to getting better. With a hit album and new job as Judge on The XFactor, Demi has returned to Hollywood grounded, spiritually focused and ready to take over the world. Giuliana & Bill Rancic are SWN's Favorite Celebrity Couple of 2012. These two already had us in sweet mode watching their love on their hit reality show Bill and Giuliana but this past year has been an very emotional journey for them and for us to watch. Learning that E! 's favorite correspondent was battling cancer was heart-breaking but the inspirational side to this was watching Bill step up and be the rock for his wife as they together fought the fight against cancer. Giuliana who had been trying to get pregnant then went through hard times when her fertility treatment failed. Another hard blow to watch but earlier this year the amazing couple announced they were expecting their first child via a surrogate. This was exciting news as we wished them well from a far but the most exciting thing was actually watching the birth of their son Duke and watching the happy couple enjoy being parents. Congrats G and Bill, we wish you many blessings with your son. Breaking Dawn Part 2 is SWN's Favorite Movie of 2012. 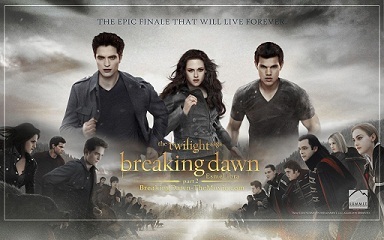 The final installment of the Twilight Saga is hands down the best movie of the year. Breaking Dawn 2 had so many shocking moments and twist and turns that it had us on the end of seats, ready to cry and then happy/relieved in just minutes. The story continued on as we watched Bella and Edward enjoy married life as Bella adjusted to being a newborn vampire. For those who still haven't seen the movie we will not spoil it for you but I will say that if you read the book, the story stays true to the book until the end and that's when Twi-hards got the shock of their lives. We will miss watching Robert Pattinson, Kristen Stewart, Taylor Lautner, Ashley Greene, Nikki Reed, Peter Facinelli, Elizabeth Reaser, Billly Burke, Tyson Houseman, Sarah Clarke, Andrea Gabriel and remaining cast play our favorite characters. Carmen Ejogo is SWN's Favorite Movie Actress of 2012. The London actress has been very busy this past year, she starred in to great movies Sparkle (Sister) along side Whitney Houston and in the movie Alex Cross (Maria Cross) along side Tyler Perry. Ejogo's portrayal of Sister in the movie Sparkle is what really caught our eye. She took on the character of Sister - a troubled girl who while on her way to stardom as the lead singer in a group with her sisters, hit rock bottom fast when she became addicted to drugs. Carmen took on this emotional multi-layered character with true artistic grace. We are looking forward to seeing more of Carmen Ejogo. Josh Hutchinson gets double honors this year, he is SWN's Favorite Movie Actor of 2012 as well as Favorite Celebrity of 2012. The young actor has been charming his way up the Hollywood ladder with his amazing acting abilities and his southern swag. 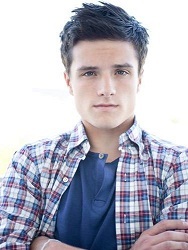 With many movies already on his resume, the Kentucky native has become a household name after starring in the Hunger Games movie. Now a former child star, Hutchinson with every new project proves he is Hollywood's new leading man. Rebel Wilson is SWN's Favorite Break-Out Star of 2012. The actress has taken Hollywood by storm with her comedic talents. Starring in the 2011 hit movie Bridesmaids introduced the Australian actress to the U.S. but in 2012 Rebel made her mark on Hollywood even bigger by starring in Pitch Perfect as Fat Amy, What to Expect When Your Expecting, Ice Age: Continental Drift and Bachelorette. Rebel is truly a comedic force to watch. She is hilariously funny and very entertaining.